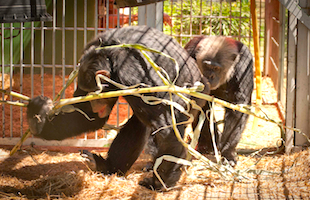 In our rehabilitation center, abused chimpanzees and macaques are recovering from their previous lives as circus artists, television actors, and even pets. Many of them spent years living in solitude under terrifyingly inhumane conditions. 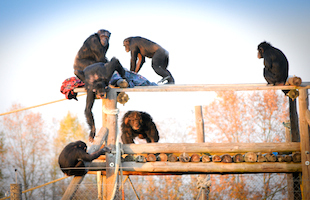 MONA gives these primates a second chance at a life free of pain and abuse. We provide our primates a curative, nurturing, and restorative environment in a group of their own kind within a spacious and natural installation. We strive to give them the type of life they should have had in the wild, giving them back their dignity they so much deserve. 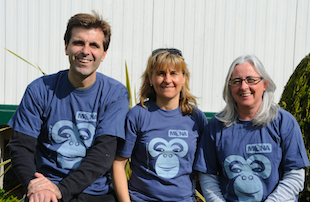 "We are people that believe in what we do, committed to the protection and welfare of primates"
"We work for the welfare of primates"
"We give them a second chance and a life free of pain and abuse"